To some, telling them you want them to teach like the Savior is like telling a child you expect them to box like Muhammad Ali, or to dance with the precision of Fred Astaire. The goal seems so unattainable as to squash any realistic hope of attaining it. What we often forget is that when it comes to the Savior, all His attributes and perfections are attainable, but almost none of them are attainable without us making changes within ourselves to achieve them. Next to death itself, public speaking, and by association, teaching, ranks as one of people’s greatest fears. Each teacher will have their own challenges and needed changes in order to become more comfortable in the classroom setting.Teaching In the Savior’s Way is designed to help each teacher counsel with others who are also teaching in their ward and specific organization. Together we can help each other find ways to handle individual challenges and to learn the teaching techniques that makes the Savior the master teacher. Some of us need to learn more about the doctrines of the gospel, others may just need some techniques for classroom management, while others may need to learn the value and worth of each soul in their class. All quotes here come either from the manual or from the quoted scriptures. There are ways or techniques for helping the teacher maintain control in the classroom. Some classes are so comfortable with each other that they tend to get out of control. Some people like to “stir the pot” just to see what will happen. Some people like to interject one-liners to see if they can be the center of attention, even if just for a moment. Then there are those who like to play their “one-note melody,” and nothing you say can seem to get them to discuss the actual topic, since their focus is solely on their pet doctrine or pet peeve in the church.When you gather in your teaching counci ls to discuss the topics in this manual, listen to the collective wisdom of those who have been professionally trained as teachers. They have much to offer. But also listen to those who have had years of experience in the Church teaching the youth, and of dealing with questions from the new members. There is experience all around us. We just have to look for it and find ways to adapt what we learn for use in our own classroom. On the other end of the spectrum from teaching techniques is the teacher who has learned to teach by stint of raw spiritual power. This is the person who has learned to testify boldly and is able to be led by the Spirit in the classroom setting. People who have learned to love others unconditionally are able to help people feel comfortable and safe in a classroom setting, which promotes learning. This comment in the manual jumped out at me, “… the way to become an effective teacher is to become more like the Savior.” One of the primary reasons Jesus is the master teacher is because of who He is. His attitudes about God, the gospel, and about other people colors his discourse all through the scriptures.In addition to his personal attributes, the Savior always had the power of the Spirit with him. He understood that it is the Spirit who conveys truth into our hearts in mortality, not just our words or deeds. Without the Spirit no one learns the eternal saving truths. The Savior’s Love – The scriptures teach us that perfect love casts out all fear. 1 John 4:18 says, “There is no fear in love; but perfect love casteth out fear: because fear hath torment. He that feareth is not made perfect in love.” The Savior’s love for us overrode any timidity he might have experienced. All he cared about was our welfare. His personal comfort was not an issue.Think of a parent who is dealing with a willful or bashful child. No matter what the child says or does to change the subject or to hurt the parent to get them to go away, the parent’s love for their child helps them stay persistent in trying to help the child. Their love for their child helps them look beyond the immediate behavior to the value and worth of the child and their own desire to help them find happiness. This is what happens when we learn to have greater love for our brothers and sisters in the gospel and for our neighbors. We begin to be able to look past their sometimes scary exterior, their social position, or their presumed importance. Instead, all we see is a brother or sister who has needs in the gospel. Our desire to bless their lives with whatever service we can render takes control, and fear leaves the equation. Simple Concepts – The Savior understood that the easiest way for us to understand gospel principles was to relate them to the things we work with each day. He turned drawing water from the well into the sermon at the well. He used something as simple as a mustard seed to demonstrate faith. The question is, are we brave enough to look for spiritual examples in our daily, and humdrum lives? Don’t be afraid to see God’s hand in all things, to see how simple parts of our lives have spiritual equivalents. For example (and this may not be the best example), the other day I was driving using a G.P.S. map in the car. The default view of the map was to rotate the whole map so that the map was always pointing ahead of me on the road. My head started spinning as the map rotated left and right every time I made a turn. I wanted the map to stay stationary so that I could have a firm grasp on where I was and navigate according to a fixed map. I felt like it was the same way with the gospel. In the world people often change their viewpoints to fit the current direction of their lives, instead of having a fixed spiritual roadmap by which to make personal adjustments to fit the map the Lord has given us. Singular Focus – The Savior was focused on doing the will of His Father. Are we? Does each decision get made in our lives based on how it will help us further the work of our Father? True, the Savior holds a special place in the family of God, but his place in the family is to be the example for all of us, so we know how to live our lives appropriately. When we keep our focus on the Lord and His needs to save us and our brothers and sisters, whether in or out of the church, then we are beginning to think more like our Savior. He Understood the Power of the Scriptures – The scriptures are the words, and self revelation of God to His children. By studying the scriptures God is able to better reveal himself and his purposes in our life. We learn how he thinks, and how he feels about us. We come to understand his ways and his expectations for us. The scriptures carry the power of the Spirit. By reading and trying to learn from what has been written by the Lord’s servants, the Spirit is able to bear witness of truth to our souls. In addition to the immediate truth we learn while we read, when we are not reading there is the lingering residual affect of having the Spirit with us to teach us what we should do or not do, and to prompt us to act in ways that will bless us and others. 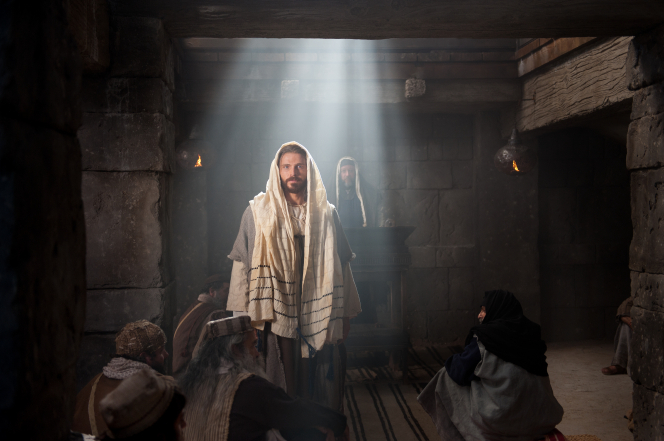 The Savior Lived as He Taught – This is a key to becoming like the Savior. We may be able to teach a good game, but do we live what we know? Far too often I am a hypocrite in that I know and teach others more than I personally live in my life. This cheats me of many blessings I could be enjoying, if only I were more consistent between what I know and how I live my life. Don’t we all suffer from this malady, at least a little bit? Discipleship – Being a disciple of Christ, a student of Christ, carries with it both responsibilities and blessings. As disciples we are expected to teach others of Christ. That is part of the basic baptismal covenant – to stand as witnesses at all times, and in all places. A witness is a teacher. We are to teach and witness to each other, as well as to those who haven’t heard of the gospel yet. Being a disciple also brings special blessings not offered to others. When the Lord calls us to a position of responsibility (and aren’t all positions positions of responsibility?) He knows we may not be or feel fully qualified to fill that pos ition. But His promise to us is that if we do our best to fill our position faithfully, He will qualify us. He will magnify our abilities. He will grow talents within us that we never knew existed in order for us to be able to fulfill the calling he has given us. The Lord never calls us to do anything that he has not already prepared a way for us to accomplish what we have been called to do. It is so important to him that we succeed that the path for our success was prepared before the world was even created. In the rest of this lesson are seven subheadings that describe “just some of the many sources of power and support that He has made available to help you teach in His way.” As you read and discuss these topics, think about how you can apply them more fully in your daily life.